In a world comprising a diverse array of countries, each with its own complex, dynamic, and evolving system, there can be no one-size-fits-all development path. With Xi Jinping's speech at the Chinese Communist Party’s 19th National Congress, China's path has now been mapped, with the understanding that the map can and will be revised as needed. This article written by Andrew Scheng and Xiao Geng continues to describe the implications of modernity with Chinese characteristics. 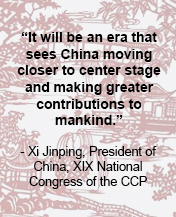 In this edition of the newsletter we focus on the XIX National Congress of the Communist Party of China (CPC), where Xi Jinping’s second term was confirmed, in addition to including his political ideology “Socialism with Chinese Characteristics for a New Era” in the constitution of the CPC. Enclosed you will find an article written by Victoria Chonn and Nicolás Albertoni about the importance of China’s “new era” for Latin America, a piece by Jorge Malena on Xi’s message during the XIX Congress, and a profile written by Ursula Kruger on Sun Chunlan, the only female member of the Politburo of the CPC, the second most important organ of Chinese politics. As China continues to expand its influence under Xi Jinping, Latin American countries should work towards improving mutually beneficial bilateral (and multilateral) relations. 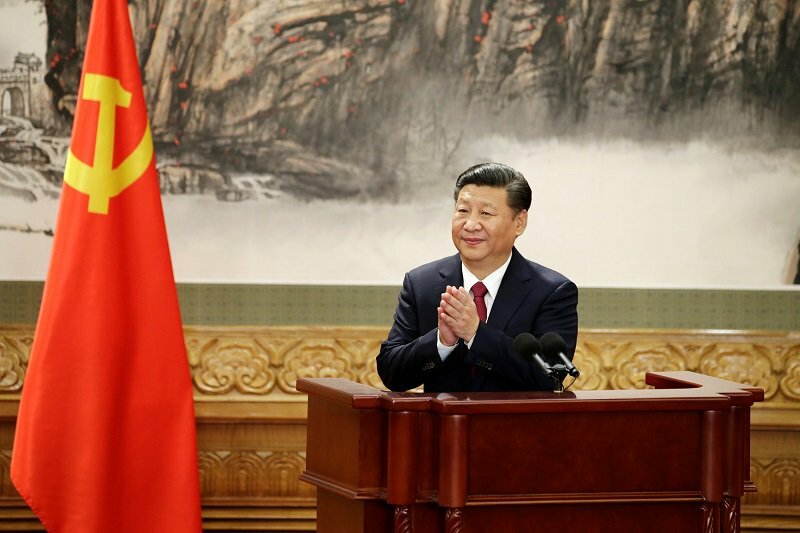 The analysis of Xi Jinping's speech allows us to identify a series of new concepts that evidence the direction of internal politics, economy, and international action of the Asian giant. At the Politburo, the second most important organ of Chinese politics, out of 25 members there is only one woman. Her name is Sun Chunlan and we can consider her one of the most important female politicians from the Asian giant. Peruvian Sinologist Guillermo Dañino “Legends from the East Lake” book presentation; Gonzalo Solana’s “Peru: Firm International Vocation” book presentation; Lecture organized by China Hoy on the XIX Congress.